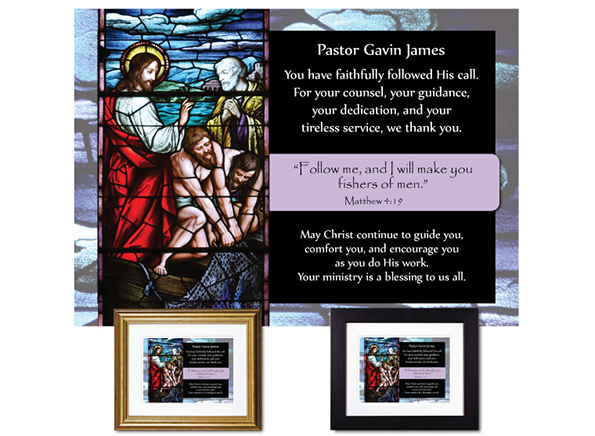 If your congregation is planning something special to honor members of the ministry team this October – of if you’d like to mark the occasion personally – check out our collection of personalized clergy appreciation plaques. They make wonderful mementos and are a lovely way to commemorate the occasion. Congregations also use our service appreciation plaques for ministry team members, so be sure to have a look at those designs, too. Be sure to order as soon as possible. We are very busy this time of year creating ministry appreciation plaques so want to be sure you have yours in hand in plenty of time for your celebration.